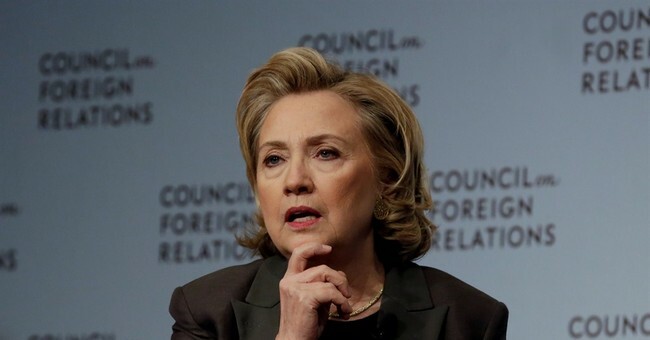 During a town hall style interview with CNN earlier this week, former Secretary of State Hillary Clinton and highly possible 2016 Democratic presidential nominee Hillary Clinton essentially declared that those who support the Second Amendment and gun rights are in the minority. She also said they're terrorizing Americans. Hate to break it to you Hil, but you're wrong. Gun owners and Second Amendment supports aren't a "minority" and to say they're "terrorizing" Americans is absurd. If anything, law abiding gun owners in America are keeping our neighborhoods safer, after all, as gun ownership has skyrocketed crime has plummeted. There are roughly 100 million lawful gun owners, hardly a "minority" as Clinton suggests. Who's really terrorizing Americans? Gang members, but Clinton and her gun control allies don't want to talk about that. Also, as a reminder President Obama's gun control agenda failed last year. It was thanks to Democrats, not Republicans. Considering Bill Clinton doesn't actually "agree with the right to bear arms" according to documents from the Clinton Library, Hillary's comments aren't surprising but serve as another reminder about why she should never be President. Thanks to SooperMexican for the video.